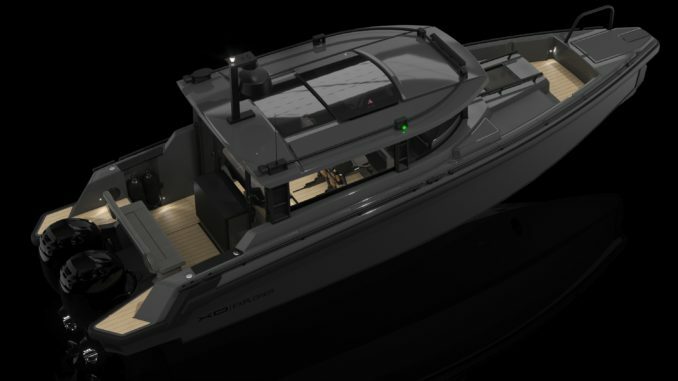 XO Boats will introduce its newest boat model in Boot Düsseldorf 2018, XO Explorer. 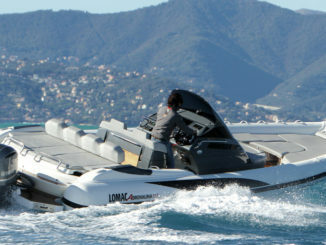 It is equipped with all you can imagine for a great day or a weekend on the sea. Spacious cabin offers an unobstructed 360-view for the driver. 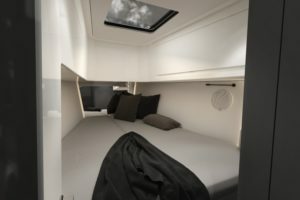 XO Explorer has a spacious front cabin with a large double bed and a toilet with a shower. 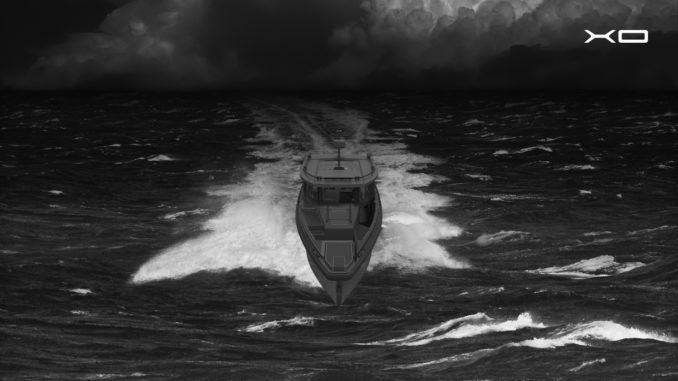 A Webasto heating and an optional air conditioning ensure comfortable accommodation on board. The large cabin fully opens to the aft deck, which makes it into one large social space when covered with an aft deck canopy to enjoy your evening at port. There is also an integrated wet bar with an induction stove, a fridge and a sink for your convenience. 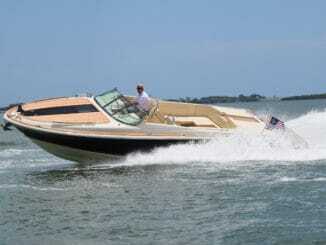 Like all XO Boats, XO Explorer is designed for a superb driving experience. The superior military grade aluminum hull ensures the most enjoyable and solid ride cutting through the waves with its deep v-hull. Slim shape and long water line provide the agility and the performance XO is known for. 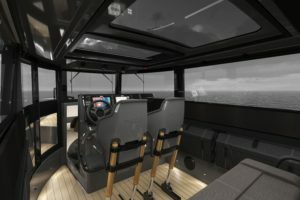 The driver and the co-driver will be sitting in the middle of the boat on high quality shock mitigating seats providing the best control and comfort. During the first season XO Explorer is delivered with a full spec Premium equipment selection for comfort and ultimate driving experience. 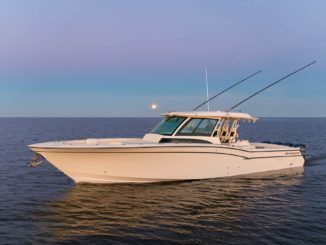 Double Simrad navigation systems, automatic Zip Wake trim control and bow thruster, to name some, are there to maximize the safety and thrill of driving. XO Explorer continues to be ahead of its time by having the Naviop iLoop digital boat control system that enables you to digitally both monitor and control all the systems on the boat. 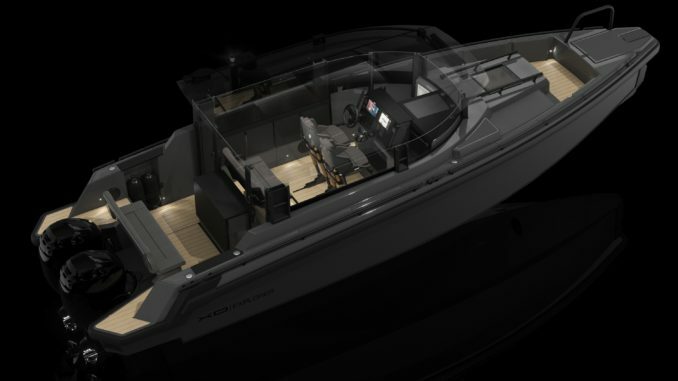 XO Explorer will be powered by up to 350 hp twin outboard engine setup and is recommended with a joystick control for the most enjoyable overall handling experience. Everything on this boat has been carefully selected to ensure a thrilling and enjoyable experience when exploring your very own archipelago wherever it is.